If you’re researching potential solutions for hair loss, it’s likely that you’ve come across the term FUE. You may have even seen the full name of this term, which is follicular unit extraction. Since this name can come off as quite intimidating, many people have questions about what it means. What Exactly is Follicular Unit Extraction? FUE is a medical procedure. The purpose of this procedure is to combat hair loss. FUE works by extracting follicular units and then transplanting in follicular unit grafts. The reason this procedure can be so effective at combating hair loss is because it literally gets to the root of the problem in areas that are balding. By removing the follicles in areas of baldness and then replacing them with hair groupings that have the ability to grow, it becomes possible for patients to get the type of hair they want. How Are Follicles Extracted and Grafted? The extraction takes place by doing a sharp punch around each follicular unit. Because the initial punch properly scores the area, the second punch is smaller and dull. The reason this is important is because it prevents any unwanted severing or transection. After the second punch, the follicular unit can be successfully extracted. Once the unwanted follicular unit has been extracted, the new graft can be placed into the same site. This can be done with a specialized implantation device. 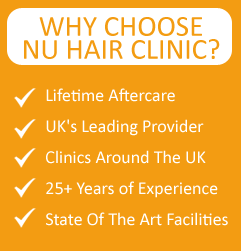 Why Should Patients Opt for Follicular Unit Extraction? Although FUE isn’t the only type of hair transplant that’s available, there are several key advantages that make it a very appealing option. The first is that it’s much less invasive in nature than other treatment options. Instead of requiring an entire strip of scalp to be removed, the individual punches done during a FUE procedure mean that there’s not a large wound that needs to be closed. Another big advantage of follicular unit extraction is that it doesn’t produce a large scar. 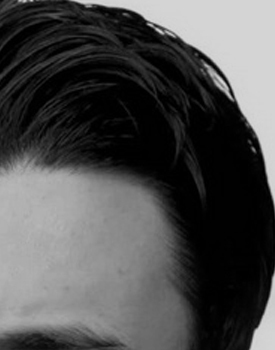 Since any scars left after a FUE will be very small in size, a man can confidently wear his hair cropped or short without being embarrassed by highly visible scars. Because this procedure is so much gentler in nature, it shouldn’t come as a surprise that the amount of time required to recover is less than other surgical hair transplant treatments. Are There Any Downsides to the FUE Procedure? 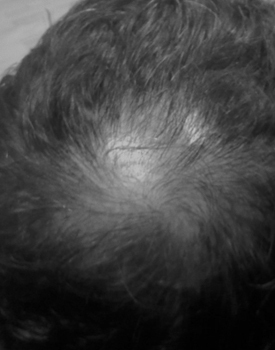 The main downside to this procedure is if it’s done on an individual with advanced balding, it may not be possible to complete the full FUE in a single day. Instead, the person undergoing this procedure may have to go through two or three days of grafts in order to get the results they desire. If you have any additional questions about the follicular unit extraction process and how it may be able to help you, right now is the perfect time to book a consultation with a hair transplant specialist. FUE is a medical procedure. The purpose of this procedure is to combat hair loss. FUE works by extracting follicular units and then transplanting in follicular unit grafts. The reason this procedure can be so effective at combating hair loss is because it literally gets to the root of the problem in areas that are balding. By removing the follicles in areas of baldness and then replacing them with hair groupings that have the ability to grow, it becomes possible for patients to get the type of hair they want. This entry was posted on Saturday, October 25th, 2014 at 2:59 PM	and is filed under Follicular Unit Extraction, Hair Loss Treatment, Hair Transplant, Hair Transplant News. You can follow any responses to this entry through the RSS 2.0 feed. Responses are currently closed, but you can trackback from your own site.